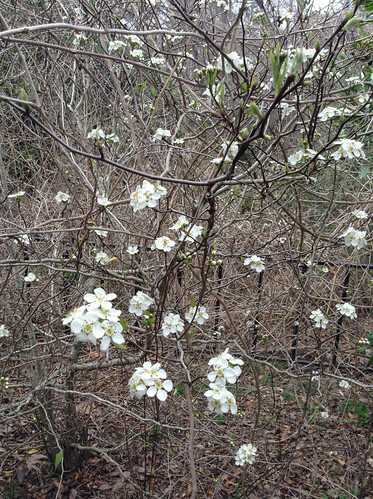 Mayhaw flowers (February in Houston). 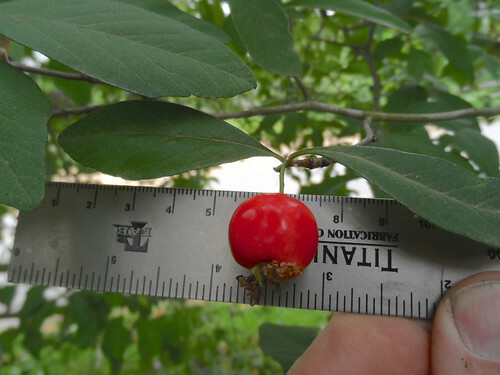 Mayhaw fruit (April/May in Houston). 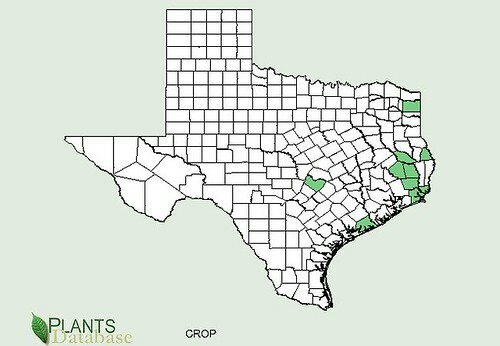 Texas distribution for Mayhaws, attributed to U. S. Department of Agriculture. The marked counties are guidelines only. 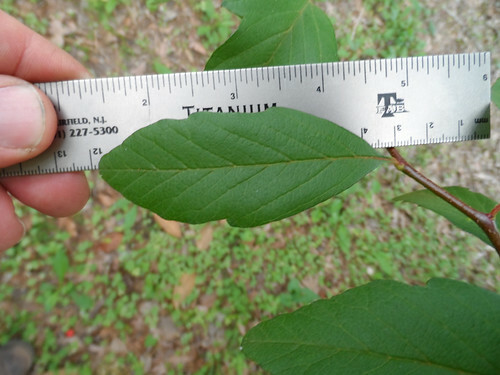 Plants may appear in other counties, especially if used in landscaping. 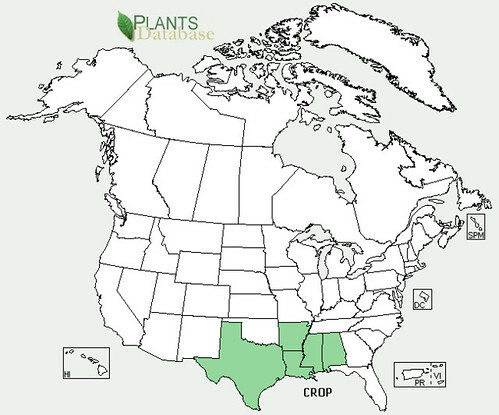 North American distribution for Mayhaws, attributed to U. S. Department of Agriculture. 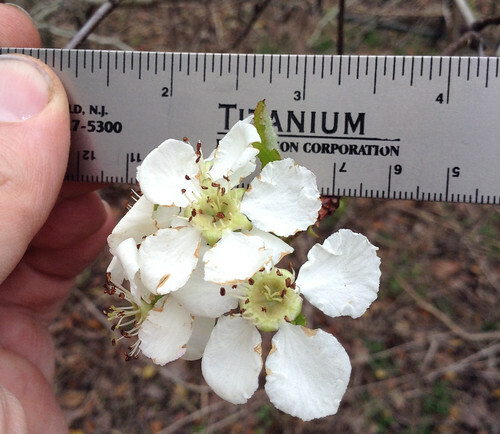 Look for Mayhaw shrubs/small trees in the nastiest swamps you can find for those will have the best-tasting fruit. They like moist, somewhat acid soils. 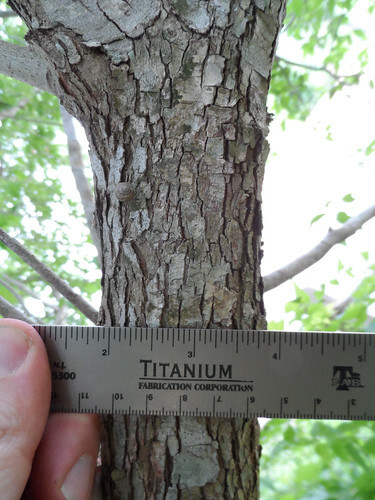 The Big Thicket area of Texas is their ideal habitat. 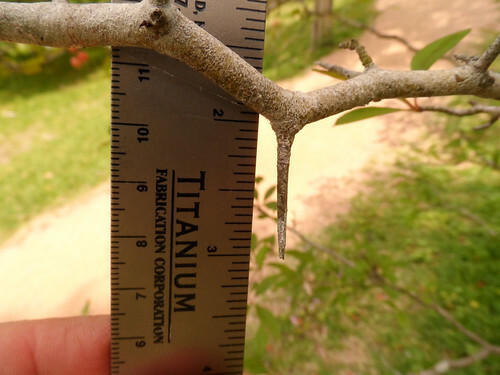 Mayhaws lose their leaves in the fall and remain mostly leafless even when their flowers appear in mid-winter. 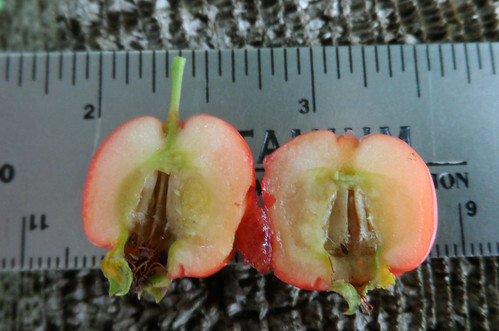 Being one of the many Crataegus species, their blooms and fruit resemble apples, another family member. The fruit is bright red when ripe but the flesh is soft like a plum. The seeds are tiny. 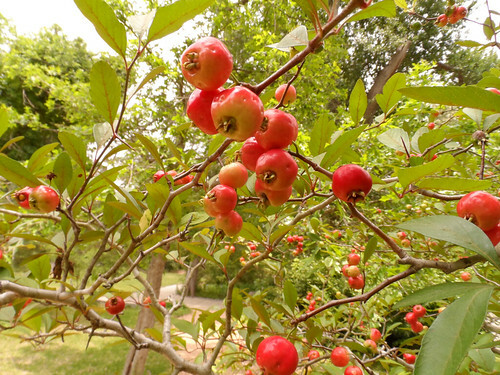 Mayhaw fruit has a wonderful tart-sweet flavor and Mayhaw jelly is a very popular treat here in Texas. The fruit are high in pectin so the jelly usually doesn't need additional pectin but if possible try a small batch first to confirm this for your fruit. The darker the fruit the more tart it will taste, which most people prefer for making jelly. 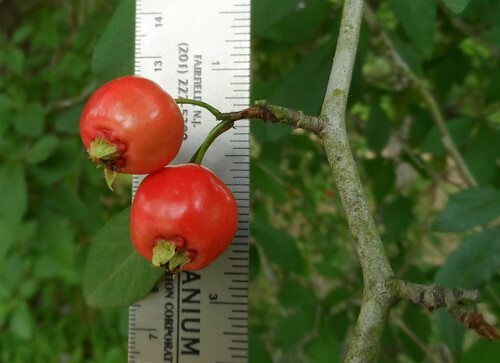 The chopped, dried fruit can be used to make a tea in the same manner as rose hip tea. 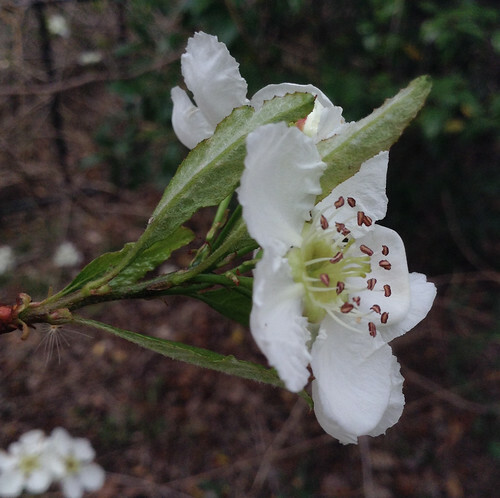 The Mayhaw fruit are high in vitamin C so this tea is very nutritious.